Effective communication is at the art of all business - you can't make a pitch, run a successful team, complete a project or do anything much in business without it. And in today's busy and competitive climate, you need to get your point across clearly, every time. 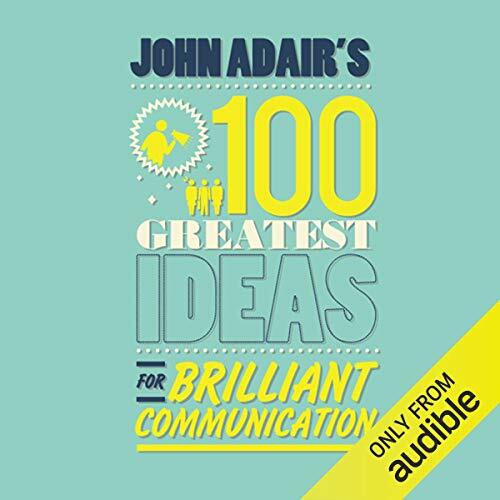 John Adair's 100 Greatest Ideas for Brilliant Communication will help you sharpen your message by giving accessible advice from one of the best-known and most sought after business authorities - advice you can put into practice immediately. For me this was reinforcing ideas from many management courses, possibly developed from John Adair originally. Whilst listening I would recommend a pen and paper or learn how to bookmark specific points in the text.